This is an arrangement whereby one Nanny cares for the children of two families. If a nanny cares for the children of three families or more this is considered childminding and is subject to compulsory registration with Ofsted. The advantage is that the cost of the Nanny is shared between the two families under one agreement. This will cover the cost of the Nanny’s services, tax payable, food, vehicle insurance amongst other items depending on the arrangement. The children could be cared for in one family’s home, or split between the two. There may also be cases where the Nanny cares for different children on different days of the week. There are various different ways to manage the agreement but finding the right family and setting out clear terms is the key. 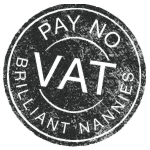 At Brilliant Nannies we believe that Nanny share is a fantastic way to make having a Nanny affordable. You can benefit from all the perks of having a Nanny without having to bear all the cost. 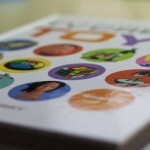 You will have more control over how your child is cared for (food, activities, discipline etc.) plus more flexibility. A strong arrangement can work well for all parties! 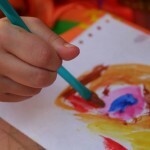 Why don’t you see if Brilliant Nannies can find you a Family Match and give it a go. We can advise on contracts and agreements and assist negotiations along the way.